Vitamin K, one of the group of fat-soluble vitamins (A, D, E and K), has come into prominence lately because its activity as a blood coagulation factor impinges on the widespread occurrence of deep vein thrombosis in the human population especially in the older age group. 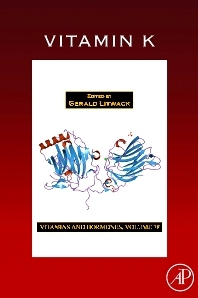 This volume focuses, not only on the problem of blood coagulation and hypercoagulability, but upon the individual status of vitamin K in the human. First published in 1943, Vitamins and Hormones is the longest-running serial published by Academic Press. 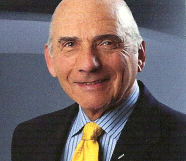 Under the capable and qualified editorial leadership of Dr. Gerald Litwack, Vitamins and Hormones continues to publish cutting-edge reviews of interest to endocrinologists, biochemists, nutritionists, pharmacologists, cell biologists, and molecular biologists. Researchers, faculty, and graduate students interested in cutting-edge review concerning the molecular and cellular biology of vitamins, hormones, and related factors and co-factors.